LENOIR, North Carolina -- A high school student died Tuesday morning after a log crashed through the windshield of a pickup truck in Caldwell County. 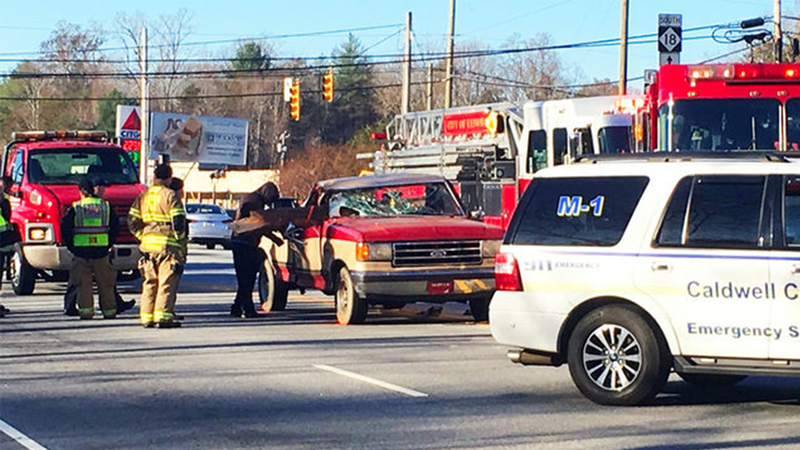 According to WSOC, the incident happened along North Carolina Highway 18 near Hibriten High School in Lenoir. School district officials said the teen's father was driving him to school when the pickup struck the back of a logging truck, breaking off one of the logs. The 10th-grader was in the passenger seat when the log entered the vehicle through the windshield. Witnesses at nearby businesses said it was one of the worst crashes they had ever seen. Officials said a full team of crisis counselors, along with clergy members, are at the school to support students. The name of the student has not been released, and it's not known if his father was hurt. Police said no one has been charged in connection with the crash.